Fire Trucks 4 Africa has teamed up with Rotec Engineering to provide an exciting new range of Fire Fighting Equipment made and manufactured in the UK! Rotec was formed in 1999 and has for the last decade supported the manufacture of Safety Critical Equipment. 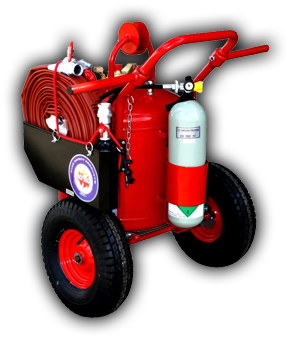 In 2005 the company acquired several patents for the manufacture of large capacity fire fighting systems. Today, Rotec prides itself on the ability to design, machine, fabricate and assemble these units, in house, using the latest possible technology combined with decades of experience. All this enables us to deliver high quality, easy to use and robust equipment to Military, Civilian, Aviation and Maritime Markets. Quality, reliability and ease of operation ensure that our equipment is specified worldwide. 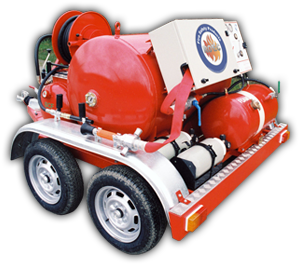 The reputation of Rotec as specialised experts regarding fire fighting systems has been gained through the supply of proven bespoke equipment for the fire fighting industry. Working closely with professional fire-fighters from the armed forces our products are designed to be easy and quick to operate with minimum training. Our ability to modify a product to the exact requirements and specifications enables Rotec to provide a complete solution, starting at the design stage and through manufacture to commission. 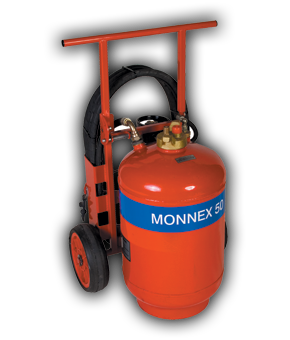 Designed specifically for use with Aqueous Film Forming Foam (AFFF), this unit is built for rough terrain and is capable of putting a small aircraft or building fire out. 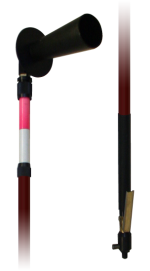 The UK armed forces quickly adopted this product and with their assistance the design has been refined to be one of our strongest products. Designed to operate in the toughest terrain our trailer solutions can be sized for the clients requirements and can be towed behind any 4 wheel drive vehicle providing a rapid available response to sizable incidents. 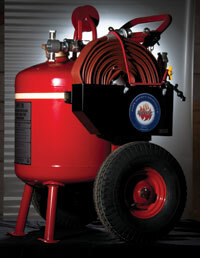 This unit is normally found on a pumped or pressurised large fire fighting truck to provide a second system. Designed to be stored in a locker or on a lift, it has been fitted with large wheels and has a low centre of gravity. Used for delivering CO2 to high level engine bays, this product is used by the British MOD to protect helicopter landing sites and is a great hit with inland and offshore helipads.